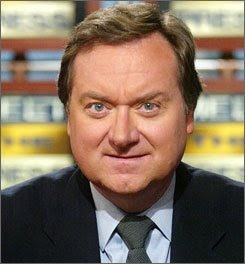 The Ostroy Report: Tim Russert, R.I.P. A truly great, honorable man with an unbridled enthusiasm, passion and pure love for politics There's s huge crater left in the world of journalism which will never be filled. I mourn his death with great sadness, and already feel a tremendous sense of personal loss even though I knew him only as that friendly, familiar face on my television. Tim Russert, may you rest in peace. Our hearts go out to your family in this time of profound sorrow. Why would you produce this article. If you really respected Tim Russert, you would at least attempt to be more like him in your editorials or postings. He treated people with respect even when he disagreed with their politics. When have you tried that?